The West African Examination Council, WAEC Private Candidates [WASSCE for Private Students] Biometric Fingerprint Enrollment/Registration Software Download & Installation Guide [1st & 2nd Series] for Cybercafes and Tutorial/Registration Centers for Both Desktop and Laptop Computers!!! 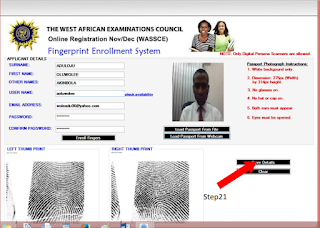 The West African Examination Council, WAEC has uploaded the Biometric Fingerprint Enrollment Software Download & Installation Guide for all Cyber cafes agents or Registration centers to aid easier and stress-free registration for all students!!! The WAEC Biometric Fingerprint Registration software is a suite of applications required for candidates to successfully enrol their fingerprints for the Nov/Dec WASSCE registration exercise. Depending on your hardware architecture, you will need to download either the x86 or x64 versions of the RTE. Microsoft .Net Framework 4.5 should be installed first before installing the RTE. If you have an older version of digital persona RTE, kindly uninstall and re-install the downloaded version. After installing RTE, kindly go ahead and install the Biometric Client application. WAEC Biometric Data Capture User Guide [Step by Step Guide to Installing Biometric Data Capture Software On PC,s and Laptops. 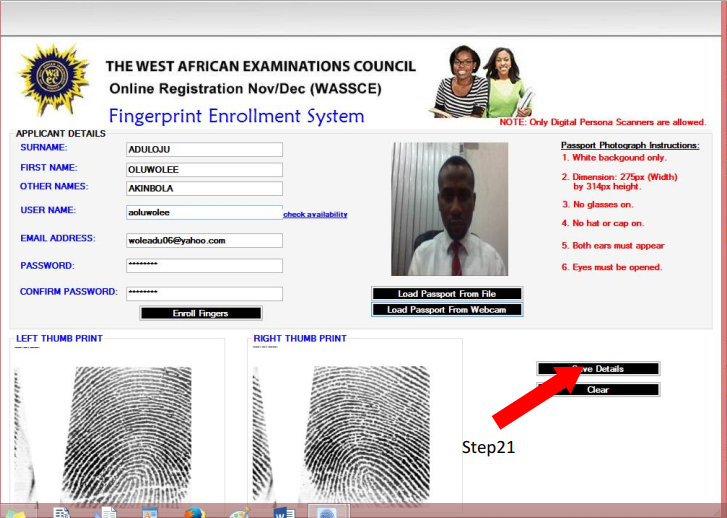 Again Download the WAEC Biometric Client [MIRROR 1] and click Run/Install. N.B Remember to set the installation settings to Everyone during the installation process. Download the Above Installation Guide in PDF.